Want to take part in one of our 2019 fundraising charity events? Come on, you know you want to ! 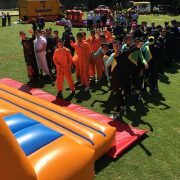 Every year charity and community events use our games for their days with a view of enlisting public interest to enter a team into the day. Therefore, if you represent a small group (say for example 10 people) then you can take part in one of these open, public, charity fundraising events booked with us. Whether you have a few friends, are a small work group, friends form down the pub, or just know some people who would love this, Contact Us to see if there is an event near you that you can enter a team into. 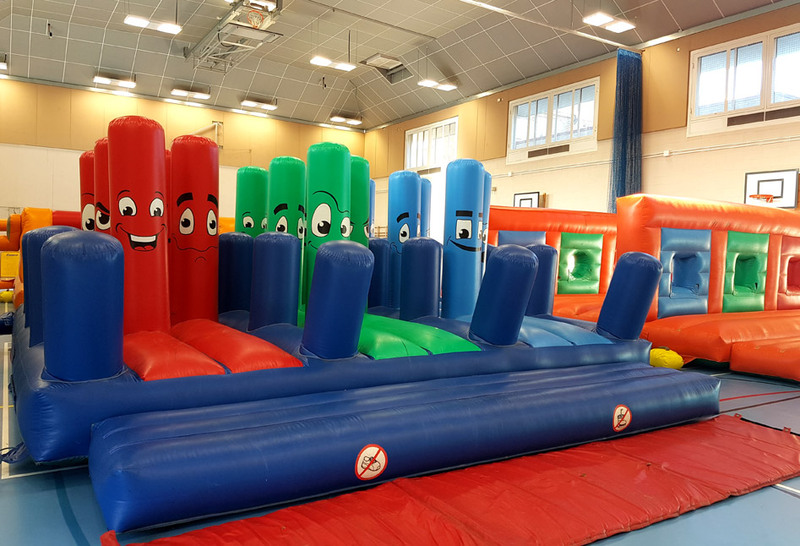 The images contained in this blog came from last years Pilgrims Hospices Charity Fundraising Event held in Ramsgate in Kent. We’re pleased to announce that they are once more using our games again this year for their charity event 2019. 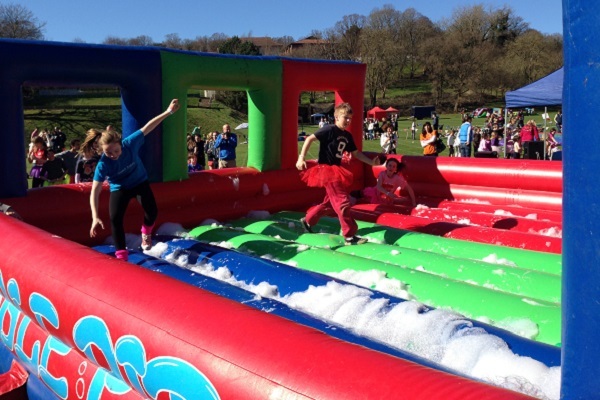 Why not take part in this years It’s A Knockout ?!?! If you’d like to take part in one of our charity events in 2019 please initially look at our Events Page to see if there are any near you that appeal. Then contact us and we’ll pass your details onto the relevant organiser. Even if there are no events near you, we can leave your name on file to let you know when we’re in your area for an event recruiting for teams. Many charities use our games for their events. They are a great way to promote awareness for a cause and to raise valuable funds. 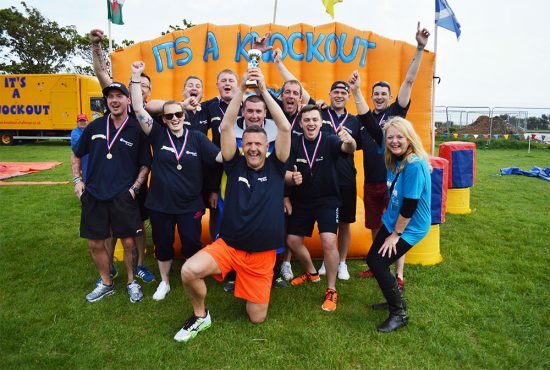 Please see our Charities Page for details and suggestions about how one of our it’s A knockout’s can help your cause. We free of charge promote your day on Facebook and Twitter and can mention and even blog about it on our websites. 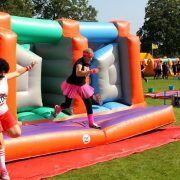 One of our Knockout Challenge colourful It’s A Knockout games shows is a great way for a charity to hold a fundraising event. 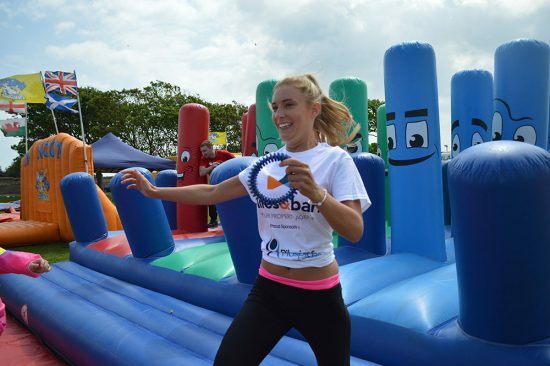 During the summer season our yellow It’s A Knockout vehicles travel all over the UK for great charity fundraising causes. 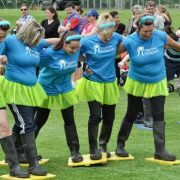 We are pleased to announce that the general public are invited once again to enter the Pilgrims Hospice Charity It’s A Knockout for 2017. On Sunday July 9th 2017, Pilgrims Hospices will be running two events this year on the same day. Our Silver Show will be entertaining the crowds and teams at Faversham Recreation Ground ME13 8BF and our Bronze Show will once more be once more at Government Acre, Ramsgate. Both events start at 10am. There will be lots of stalls, attractions and fun on the day. 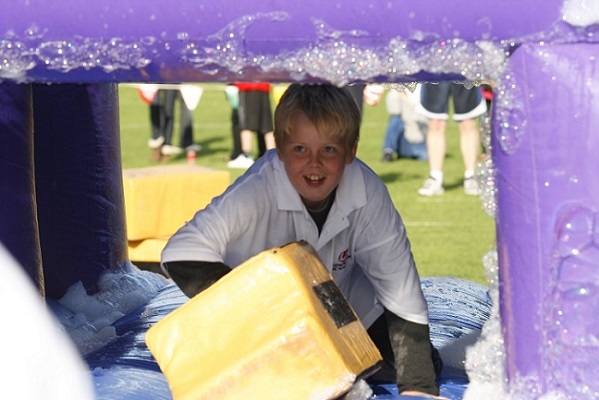 Teams of up to ten people, fit or unfit, are invited to enter a team and join in the fun. If you live in the area, why not get some friends together and come and join in the fun. There will be other attractions present so bring the family along, if even just to watch and soak up the atmosphere. Please Contact Us or more details about attending or entering a team into an event. If you are a charity looking for fundraising ideas, please contact us. We can not only put details of your date on our Events Page, but if you’ve got lots to say, we’ll even blog-news about it! Below is a list of open events and Knockout Challenges where individual teams can join. 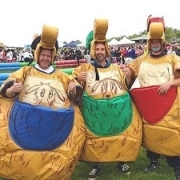 Enjoy a great team-building day out, and raise some funds for your club or group, or get a crowd together from work, pick a charity, and enjoy a worthwhile day out. Use a fundraising platform like Justgiving, promote it on your Facebook page, and make a meaningful contribution to the charity of your choice. 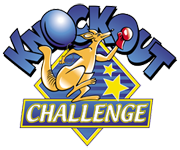 We have Knockout Challenges across the country all year long. 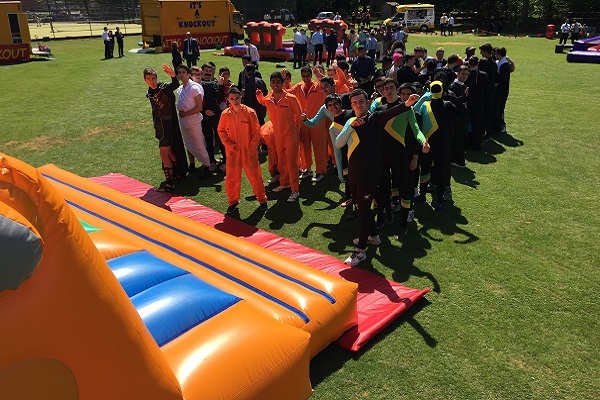 Our events page is updated regularly, and we encourage new teams to join us. The more the merrier, and it can be a great way to meet new people, have some fun and do some serious fundraising! 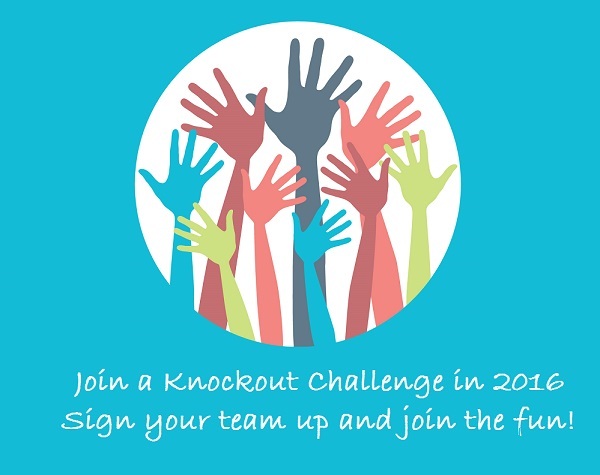 Join a Knockout Challenge in 2016 – if there’s not one near you, just ask -we’ll see what we can do! More dates are added regularly, but if you’ve got a specific date in mind, give us a call on 01245 328221 and we’ll see what we can do!